A thousand different factors can lead to decreased property value, but nothing will destroy it faster than mold, not to mention the dangerous health risks it imposes. Did you know that mold begins growing 48-72 hours after water damage? Prolonged exposure to mold can be harmful to the body. If you suspect mold growing in your home or business, it is important to get professional inspection and testing to protect your property and your health. Call A. Roto Restoration today. What is Mold and How Does it Flourish? Mold is a type of fungus that produces microscopic cells called “spores” which are very tiny and spread through the air. Mold spores can be absorbed into our bodies without us knowing. They thrive in damp and dark environments. When a spore touches moisture, it can begin to grow and reproduce. Once mold gets a foothold in your attic, basement, ceiling, walls, windows or carpet, it can spread like wildfire leaving you little time to mitigate its damages. Plumbing issues, leaky roofs, house plants, condensation, and other causes can create a favorable environment for mold growth. There is stagnant air, since fresh moving air will typically remove moisture from surfaces and stop the spread of mold. Mold germination typically takes two to three days under ideal conditions for most molds to flourish. After a major storm, flood or any exposure to a significant amount of moisture, be on the lookout for mold growth. Mold has a distinctive earthly smell. If you see any signs of water damage on the walls or ceiling chances are you have mold. Mold can be hidden and is often found behind wallpaper or paneling, ceiling tiles, the back side of dry wall or the underside of carpets or carpet padding. Mold can also be found on piping inside the walls since pipes often leak causing moisture or condensation. Finally, mold can be caused from a leaky roof where water collects inside walls and insulation. If you have mold, you need to call A. Roto Restoration today! Mold poses a variety of symptoms and health risks. Mold can affect everyone including infants and children, elderly and individuals with respiratory conditions such as allergies and asthma. Exposure to mold can also cause symptoms such as throat, skin and eye irritation, runny nose, sneezing, nasal congestion, itching, coughing, headache and fatigue. Removing mold becomes urgent once the mold becomes toxic. It produces poisonous substances that affect our bodies. These contaminants can be absorbed through contact with your skin, in the food we eat and in the air we breathe. The effects can be very serious and requires immediate attention. 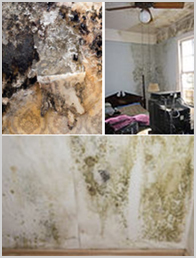 If you think you’ve “got mold”, call A. Roto Restoration today to schedule complete mold inspection and testing. 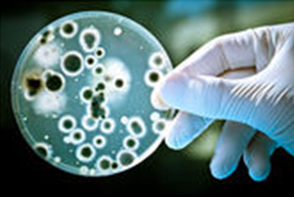 Our certified and experienced technicians will test the areas for the type of mold whether it is black mold, toxic mold or any other dangerous mold spores. We inspect for moisture, perform air quality tests, and take test samples. After the type is identified, we will determine how much mold is present and whether or not it is at a dangerous level. Don’t allow mold to destroy your property and your health. Contact A. Roto Restoration Today at ­630.­543­.­0668­.